As many of you know, as I've talked about it many times, I love Autumn. I love chilly days, wrapping up, kicking piles of crunchy leaves, autumn colours, hot drinks, and getting snug! So when the leaves started falling from the trees I knew I needed to incorporate this into an outfit post for you all. 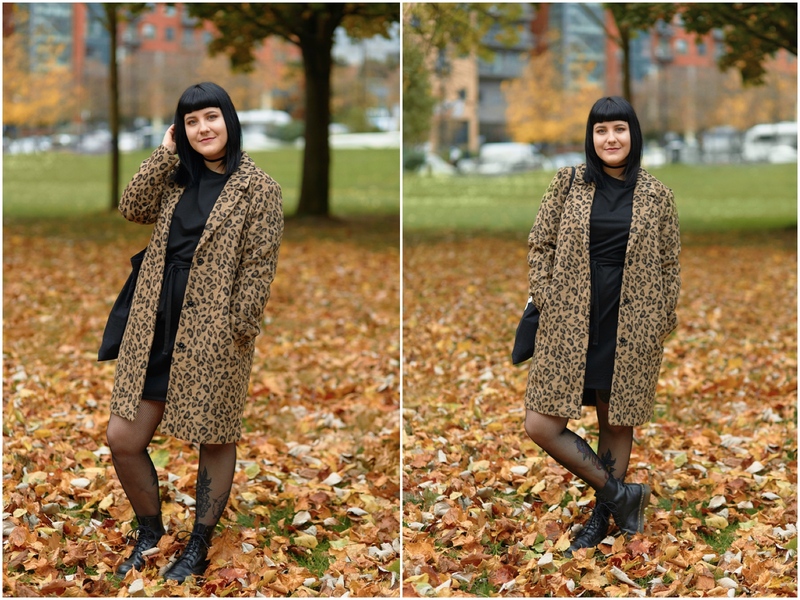 Leopard print coats are something I've always admired from afar for years but never purchased, but this year, I saw this amazing coat and I had to have it! It's not 'in your face' leopard print, its not overly furry, and its thick and warm. Could you get a more perfect coat? It's the perfect statement piece. I got it in a bigger size too to achieve the big coat look. I decided that black items would be a good go to item to wear underneath the coat, giving it a slight grunge look! While browsing Zara the other week I found this lovely black dress, it is really simple but so lovely! 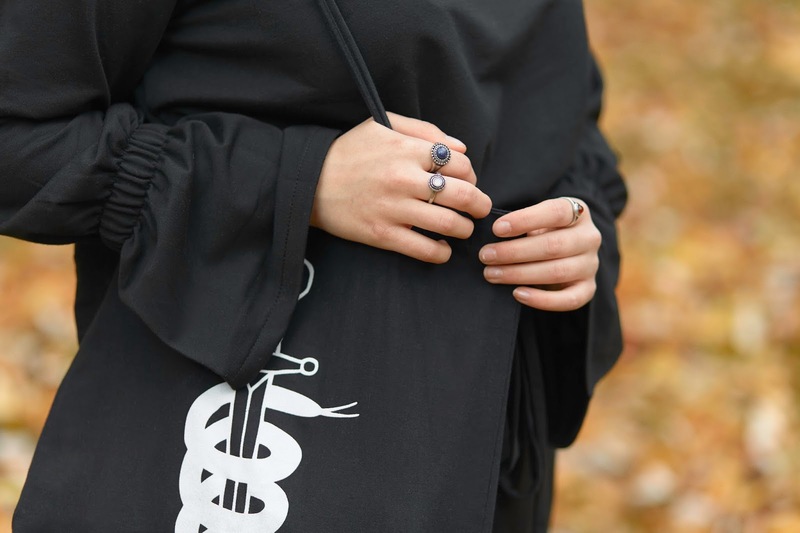 It has an extremely long tie round the waist so you can wrap it round multiple times. It also has elastic on the sleeves to give them a flared sleeve look, which is something I'm really getting into lately. I love Autumn too, this is a great outfit. Autumn is best for photoshoots! This is lovely!😍😍 the outfit and leaves are just too good!